Cambridge’s Tour de France summer will not be all about bikes – a pedal power music extravaganza is also being planned. Work has got into gear on an extraordinary project paying homage to the city that will host the world’s most famous cycle race. The project is called Cycle of Songs, and it will bring together local choirs, schools, composers, musicians, writers and residents in a series of performances at venues around Cambridge in the run-up to the Tour’s arrival on July 7. 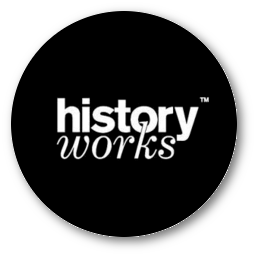 The idea has been devised by arts organisations Pilot Theatre and Historyworks, and has been commissioned by the city council, with funding from Arts Council England. It will hit the road in less than a week’s time, on Sunday May 11, with a launch event at Great St Mary’s Church. Helen Weinstein, who is producing the project, said it would be “innovative and inspiring”. The launch event on Sunday, between 2pm and 4pm, is open to the public and will feature choral singing, a live band, refreshments and “family-friendly heritage activities”. Residents will also be able to sign up for a free, open-to-all group called the Cycle of Songs Choir, which will perform in July. The songs sung will be based on original source material about Cambridge chosen by Prof Weinstein. She said: “Many will tell hidden stories from the city’s history, to celebrate the quirky and inspirational characters and creatives from the past and present. 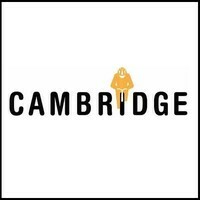 “The aim is to showcase and celebrate the talent and diversity of Cambridge, with many local people of all ages sharing their voices and celebrating the city in song. All are welcome. An app featuring the songs will be developed and released during the Big Weekend, from July 5, to leave what Prof Weinstein calls “a lasting digital legacy”. Among the local choirs and musical organisations involved in future events are the Sing! community choir, Dowsing Sound Collective, the Shout Aloud! children’s choir, the Addenbrooke’s Hospital Choir and the Cambridge Revelation Rock Gospel Choir. More details about the Cycle of Songs are available online at www.cycleofsongs.com, or by emailing cycleofsongs@gmail.com.